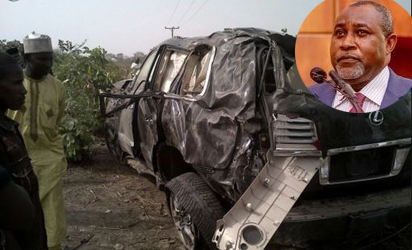 All Progressives Congress (APC) yesterday called on the Federal Government to immortalise late Minister of State for Labour and Employment, James Ocholi (SAN), who died in a ghastly road accident, which also claimed the lives of his wife and son. The appeal was a fallout of the party’s National Working Committee (NWC) Special Session convened and chaired by acting National Chairman, Mr. Segun Oni, in honour of the deceased minister who was also the party’s former interim deputy national legal adviser. The APC flag was flown at half-mast as a sign of mourning at the party’s national secretariat in Abuja on Tuesday. Similarly, National Secretary, Mai Mala Buni, said: “He lived a fulfilled life. He was a committed party member. His demise was a great loss to this party, this nation and the people of Kogi State. “We must take solace in the fact that death is inevitable end and one thing that can not be predicted. We, as a party, must do everything possible to ensure that Ocholi is properly immortalised,” he noted.